Great Location in Pipestem District, nice drive to Hinton for shopping and close to Pipestem Resort, 4 bedrooms, 2 baths and 1732 square feet of living space in a rural private setting with a grassy yard. 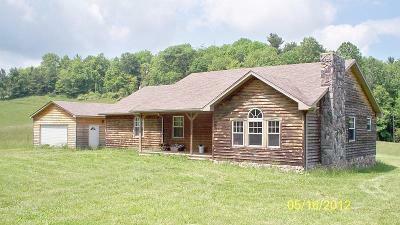 Cedar sided home with architectural shingle roof, hardwood, ceramic and carpet flooring. Solid wood cabinets and fireplace. Perfect year round home or vacation get-away. Priced to sell.